Joining the band in May-2017, Lucky brings a full compliment of talent, road and studio experience. 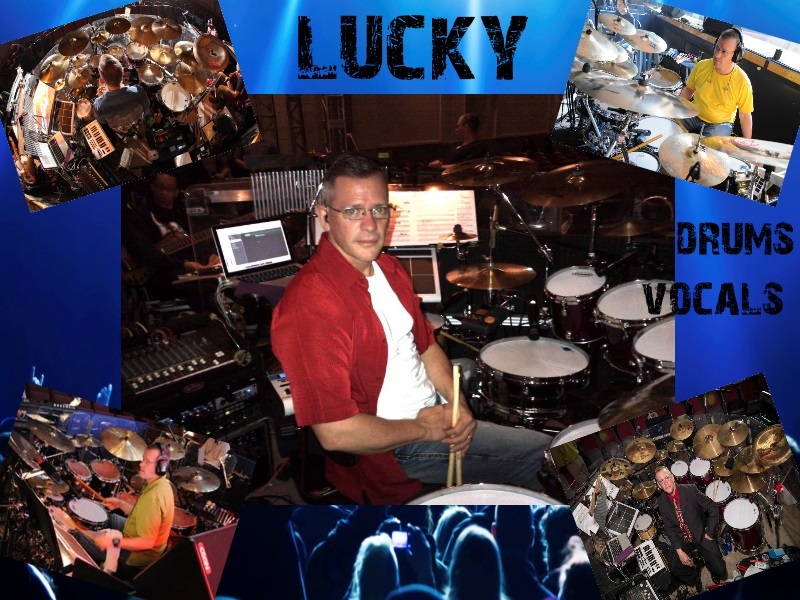 Hailing from Mobile, AL, Lucky is not only an accomplished drummer, he also possesses a great singing voice as well as being versed in several musical styles including rock, country, orchestral and Carribean steel drum music. He has taken lessons from drumming greats like Ed Soph, Matt Wilson, and Steve Houghton. He has played locally and regionally in many different groups as well as performing the world over with the United States Air Force Entertainment group, "Tops in Blue. Posessing an ear for perfection and a solid background in audio production are invaluable assets that he brings to the band's live performances as well as future studio sessions. You will definately hear his attention to detail. With Worx, Lucky will be not only bringing solid and potent drumming to the table, but his tenor vocals is sure to impress as well. From the band's early years to present, Billy has been the one true "foot soldier" for Worx. His father played guitar in the 1950's group "Walt Benton & The Diplomats", which was out of Atlanta, Georgia. Billy was exposed to a wide range of different music styles at a very early age. Playing guitar at age 6, and singing at age 15, he has honed these two talents into one tightly wrapped package. His playing and singing offers audiences a chance to see and hear something special. Being able to sing lead vocals without taking away from the guitar work is a rarity these days, but to do each with spot on accuracy is quite another. Playing in a band that holds itself to a higher standard really does come across in the sound of the music, and in the fan appreciation and applause. Holding down the bottom end for Worx is T.K. 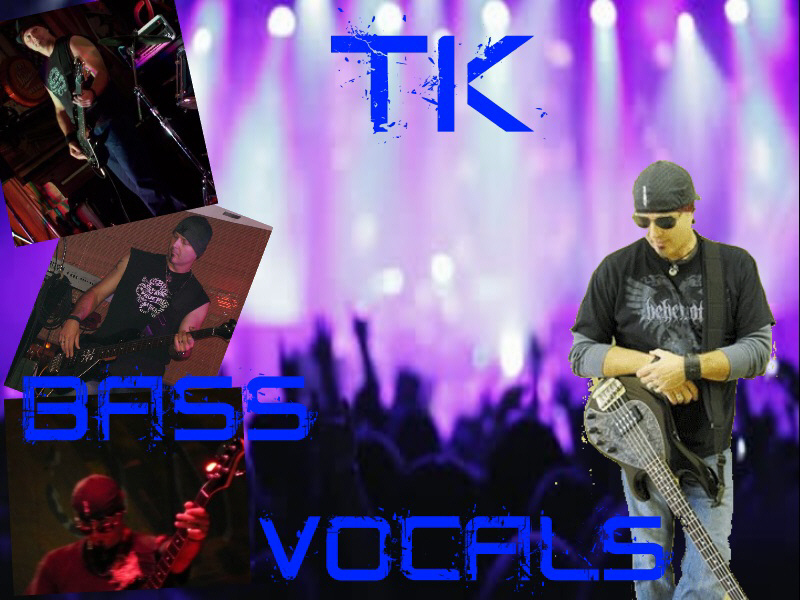 Hailing from the West Coast, T.K was the bassist for several bands that were in the competitve San Diego and Los Angeles club scenes. After moving to the Gulf Coast he formed the rock band "13 On", which had 2 albums to their credit as well as being an opening act for Def Leppard. Most recently T.K. was the bassist for a 50's tribute band called "Racing for Pinks". In early December / 2015 he joined Worx bringing his solid musicianship with him, but also his professional experience as a performer and inner-workings of live show production. Once on board with Worx, he took it upon himself to get up to speed on the material Worx plays. This guy really digs in to whatever the song is. This type of work ethic is just one of several qualities that T.K. brings to the band. Steve joined the band in September / 2007 and is known as "the best utility man in the business." Steve was a guitarist and keyboardist for a couple of local bands that played in and around the Mobile area. After the inevitable band break-ups, Steve came on board ready to get prepared for one of Worx's biggest shows of 2007 on the first day of BayFest for a local radio station. His added talents on guitar and backing vocals are welcome attributes for Worx. In a live setting on many songs you can see Steve with both hands on the keyboards, as well as having that trusty stratocaster strapped on. It's quite a treat to watch Steve pulling double (sometimes triple) duty on stage. Steve is a big reason why Worx has such a full sound that their fans have come to know. It's a magical thing to hear and see a 4-piece band that can generate a full wall of sound that rivals other bands with five and six members. 2017 / All rights reserved.